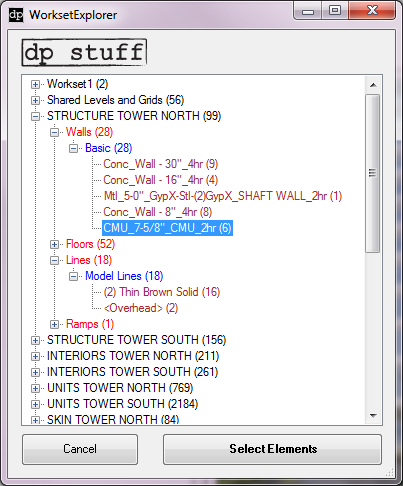 The free WorksetExplorer add-in from dp Stuff allows users to quickly and easily browse worksets in a tree view and select objects by workset, category, family and then type. Every "branch" has a name and the number of elements meeting the criteria in parentheses. 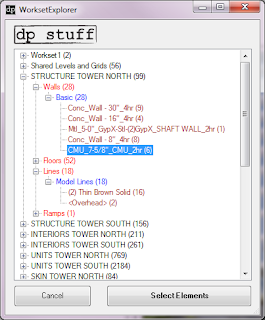 This add-in is very useful for cleaning up worksets.